This detailed visual furnace and air conditioning analysis performed by our NATE-trained technicians provides an explanation of potential heating, air conditioning and air quality issues, needed repairs or risks. We’ll also assess the safety, lifespan and energy efficiency of your home comfort system. It’s the perfect service for anyone wanting to know the current operating condition and efficiency of their home’s heating and cooling equipment or would like to get a second opinion on work that has already been done. Allergy sufferers could also greatly benefit from the professional air quality assessment included in this low-cost service. We don’t stop with just the facts on our findings. We’ll always provide unbiased solutions, advice, and consultation for ALL your home comfort needs, including air quality and water filtration solutions that could save your money every month. A very affordable service, the Performance Inspection will assess the current state of your whole family’s indoor comfort… and provide expert recommendations for every need. Do you live in Toronto? Are you looking for HVAC services? Then search no more! Here at Cozy Comfort Plus we offer the best residential HVAC services in Toronto. Do you have a problem with your heating system? Are you facing any issues with the air conditioning or do you simply want to build a new system for your house? We are here to help you. 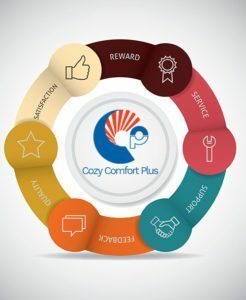 At Cozy Comfort Plus, before getting to work, we will make sure you understand the whole process and what exactly we are going to do. Furthermore, to ensure that your project is completed to the best standards, our highly experienced and qualified technicians will use the most up-to-date equipment and the highest quality units. Whether it is a small problem or a large one, our staff will be there to help you navigate through the endless options available so you can make the best choices. In addition to our great customer service and our commitment to give the best services to satisfy your needs, you will benefit from our experience and our commitment to energy efficiency. 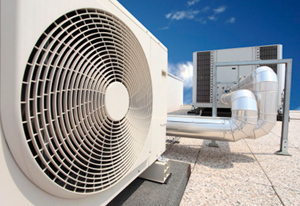 We use the newest technologies to ensure that your HVAC system works to its best and is as efficient as it can be. If it has anything to do with the residential HVAC of your Toronto property, there is nothing we can’t fix. However it is also important to understand that it often makes more sense to invest into changing a product and replacing it with a new one that is more efficient and will help you save money in the long run. If you are feeling lucky, you can always check our deals to see if one of the many offers and special deals we have meets your needs for a project. We regularly offer seasonal and monthly offers for your convenience to ensure that you get the best deals on residential HVAC in Toronto. You will never go wrong by choosing Cozy Comfort Plus for any services for residential HVAC in your Toronto property. 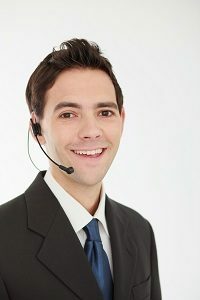 We have years of experience and our trained staff and customer service representatives will be there to support you with all your inquiries. We are fully insured and offer flexible scheduling. Why wait? Call us today and you will be glad you did.